With 2013 heading into fall, it's a good time to take stock of a label that has all too often been (falsely) accused of minimizing the country where jazz began. Excluding reissues, this year's ECM regular series releases represent about thirty percent American leadership; given jazz's increasingly global nature, hardly a bad numberand better still, when considering ECM's qualitative consistency. From Chris Potter's impressive label debut as a leader, The Sirens, to Craig Taborn's boundary-stretching Chants, and Steve Swallow's career-defining Into the Woodwork, ECM's emphasis has never been about geographic location; it's simply been about good music being where you find it. This year, in addition to superb music from Britain, Norway, Italy, the Netherlands and Poland, there's clearly been plenty of great music coming from the lower 48and especially from New York City. 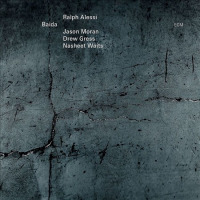 Add to that list Baida, Ralph Alessi's ECM leader debut. 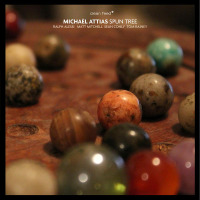 The trumpeter's firstand, until now, onlylabel appearance was on Michael Cain's below-the-radar Circa (1997), but he's gradually built a small but significant discography as a leader and been in-demand on recordings by everyone from Uri Caine and Scott Colley to Drew Gress and Joel Harrison. 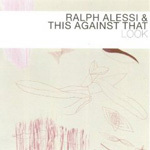 Gress is, in fact, Alessi's bassist of choice for Baida, which reconvenes the same quartet responsible for all but two tracks of Cognitive Dissonance (Cam Jazz, 2010), an album that raised a very germane question: why is Alessi not as established a name as contemporaries like Dave Douglas (the two literally born 19 days apart)? The primary answer is likely Douglas' forward-thinking business acumen with his Greenleaf imprint, resulting in a considerably higher profile; Alessi, on the other hand, seems strictly about the music. But what wonderful music it is. Alessi can, at times, lean towards the cerebral, as he does on "Gobble Gobblins," revolving around pianist Jason Moran's relentless chordal pulse, with drummer Nasheet Waits (making his label debut) entering tightly with Gress, a military march slowly opening up to greater expressionism beneath Alessi's virtuosic tendencies and bright, burnished tone. Things unfold even further when Moranwho, in the past half decade, has delivered some of his best performances on ECM recordings by Charles Lloyd, Paul Motian...and now, Alessiexpounds on his written part with furious aplomb, Gress assuming a relentlessly contrarian role that somehow glues the whole thing together. Alessi proves capable of greater melodism with a gently contrapuntal trumpet/piano duo that introduces the balladic "Maria Lydia." 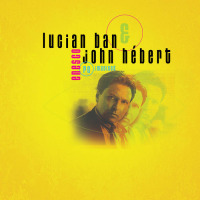 Still, slow doesn't always mean lyrical, as the two versions of "Baida" that bookend the record are delicate but dark and ever-so-angular, with Alessi's embouchure, mute and plunger creating near-vocal articulations, even as Moran's pointillism ebbs and flows over Gress and Waits' rubato support. "Chuck Barris," on the other hand, grooves with rhythmic complexity, Alessi's brighter tone engaging empathically with Moran's blockier responses. 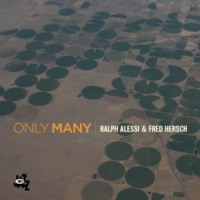 Moving to ECM and relinquishing the producer's chair to Manfred Eicher both contribute to Baida representing Alessi's long overdue arrival. More open, more translucent and somehow more intrinsically pure, Baida welcomes Alessi to a label whose instinctive ability to find and draw out good music where it lives remains both unparalleled and fundamental to its ongoing success and reputation. Track Listing: Baida; Chuck Barris; Gobble Goblins; In-Flight Entertainment; Sanity; Maria Lydia; Shankl; I Go, You Go; Throwing Like a Girl; 11/1/10; Baida (reprise). 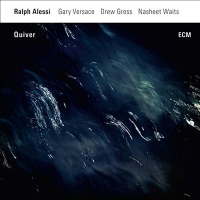 Personnel: Ralph Alessi: trumpet; Jason Moran: piano; Drew Gress: double bass; Nasheet Waits: drums.